Lately I have been on a strict low-carb diet, probably the inevitable result of eating all of those scones. It’s one of those diets where you only eat protein and vegetables, so I’ve been frequenting all of the shabu shabu joints in town. For the uninitiated, Japanese-style shabu shabu is basically a plate of thinly sliced raw meat and another plate of raw vegetables and tofu (and udon noodles if you’re one of those hedonists that eats carbs), all of which you cook yourself in your own individual pot of boiling water. My wife has an issue with going to restaurants where you need to cook your own food, but I think it’s incredibly fun. 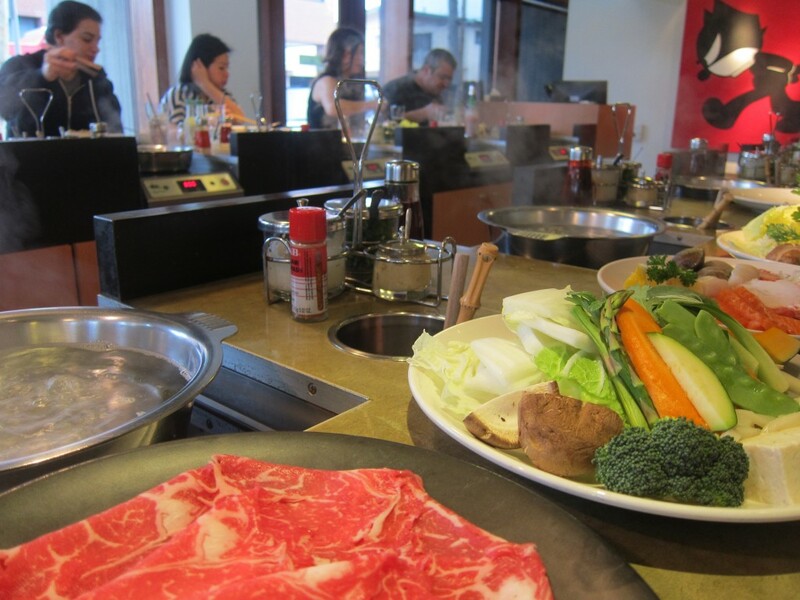 My favorite shabu shabu restaurant is Mizu 212. The “212” stands for “212 degrees,” the temperature at which water boils. Mizu 212 is exactly what you want in a restaurant serving raw meat; it’s exceedingly clean and modern, and the food is of the highest quality. Most of the seating is at a wraparound bar and it feels like you’re eating in a really cool science lab that plays great music. There are several choices of premium beef. I usually order the “Vintage Natural Beef” Prime Grade Rib-Eye. It’s excellent, although “vintage” beef sounds funny to me; like they’re peddling old meat. I think the idea is that it’s old-fashioned-style beef, the kind that was raised before the use of hormones or antibiotics. 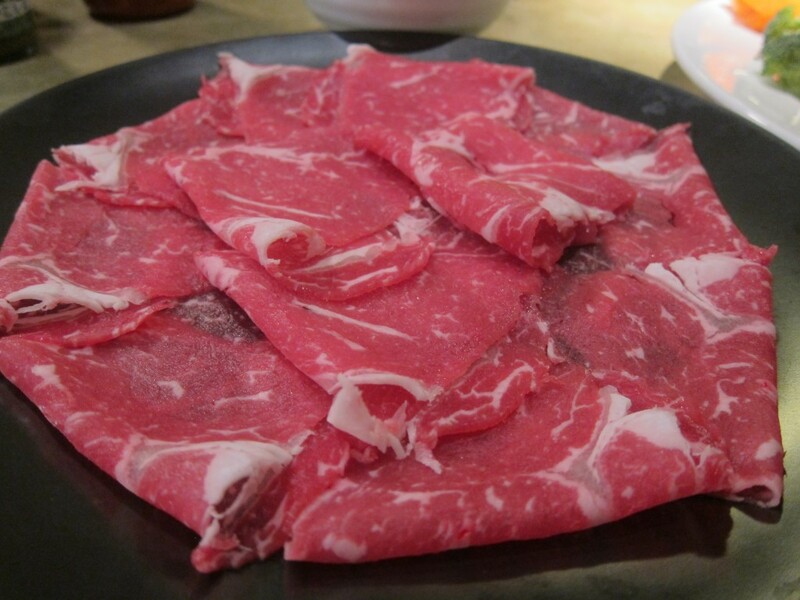 If you’re wiling to pay a premium, you can get Kobe-syle “Wagyu” beef. They also have free-range chicken, high-grade black pork or lamb, and even grass-fed buffalo. 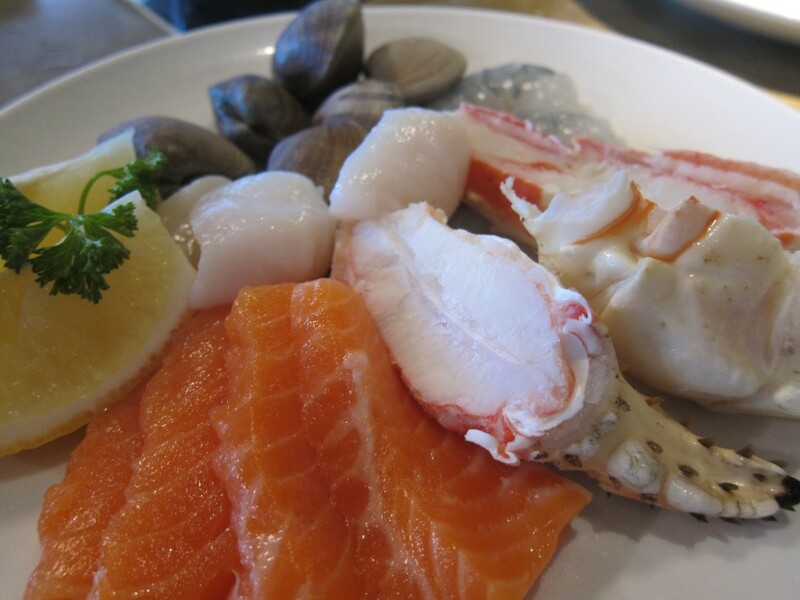 Mizu 212 is one of the few places that also offers seafood shabu shabu, including wild salmon, shrimp, scallops, crab and clams. 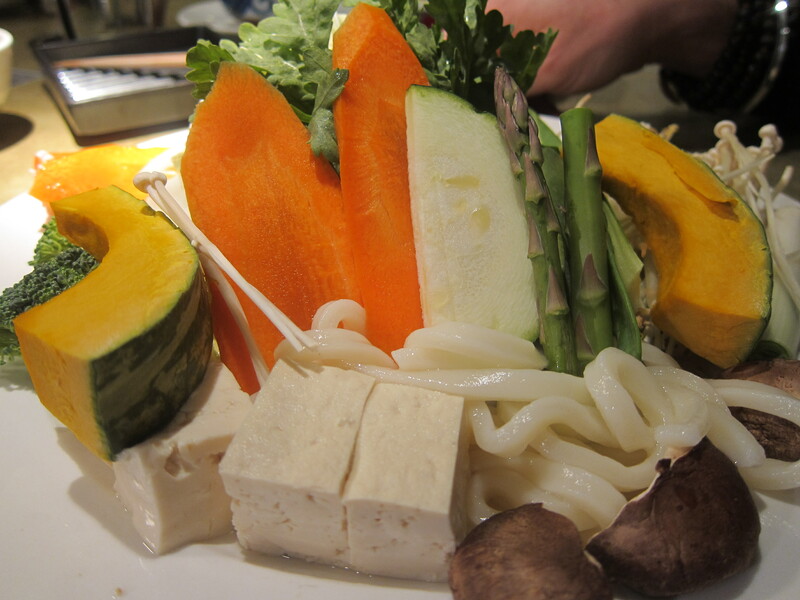 The vegetables are super fresh and include cabbage, baby bok choy, carrots, asparagus, green onions, broccoli, kale, mushrooms, snow peas, kabocha squash and chrysanthemum leaves. 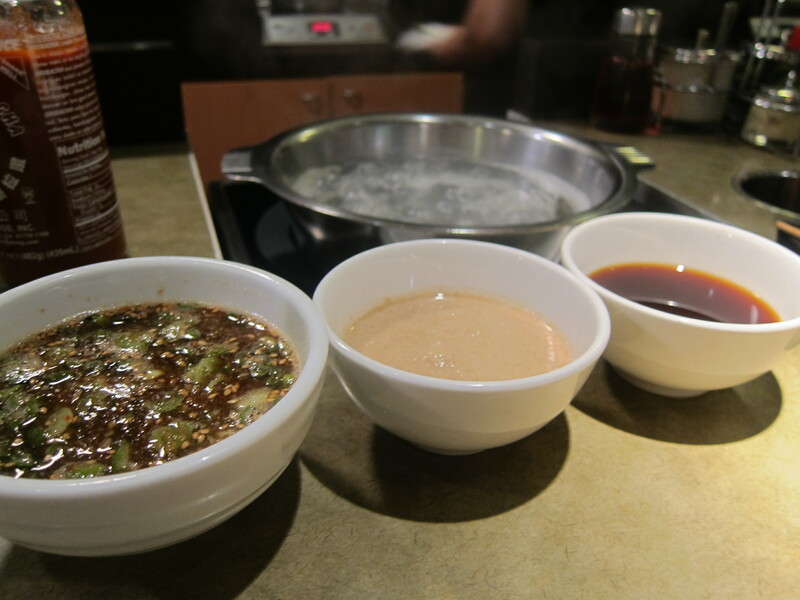 They have delicious homemade ponzu and goma (sesame) sauces for dipping. Upon request, they can also make you a gluten- or sugar-free sauce. You can wash it all down with an artisan tea, premium sake, glass of wine or craft beer. Mizu 212 is located at 2000 Sawtelle Blvd., Los Angeles (in “Little Osaka” in West LA). 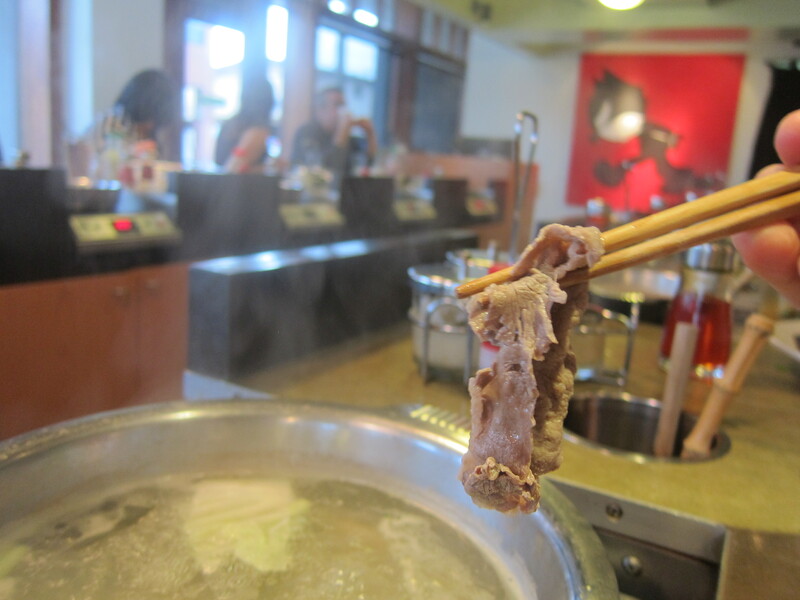 I’ve been wanting to try shabu shabu for awhile now. This place looksgreat.